The memorial resides in Castlecaulfield Church of Ireland. 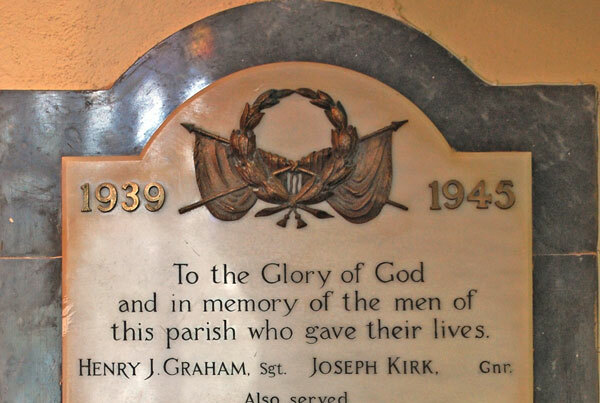 �To the Glory of God and in memory of the men of this parish who gave their lives�. The memorial lists two men who were killed in action. The memorial also lists those who served in the World War Two from the parish. The memorial also lists George Hall, a Lt Commander in the US Navy. The memorial resides in Castlecaulfield Church of Ireland. The memorial lists two men who were killed in action. 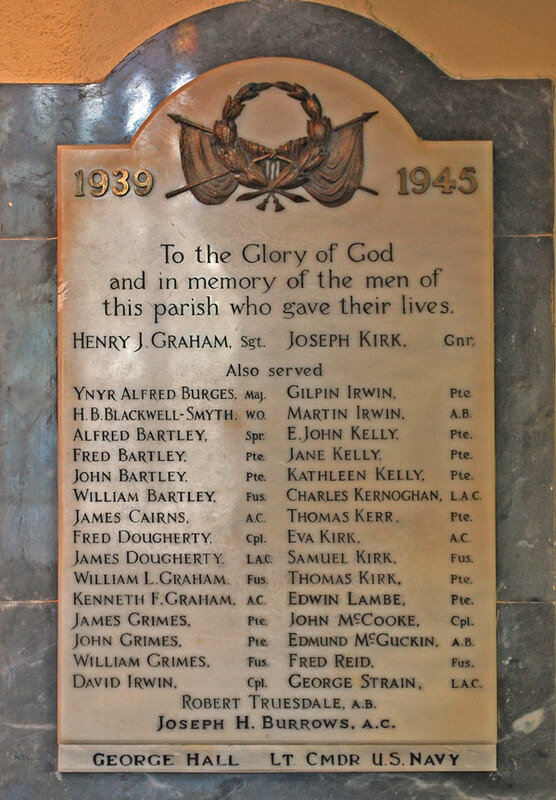 The memorial also lists those who served in the World War Two from the parish. The memorial also lists George Hall, a Lt Commander in the US Navy.